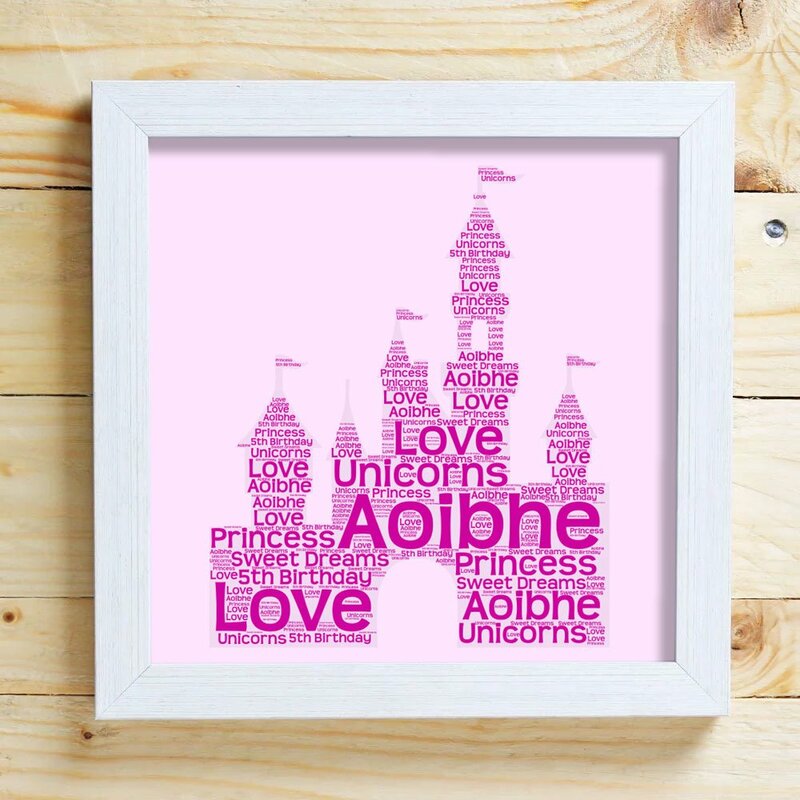 The perfect addition for any child's bedroom or nursery! We will design the word cloud based on up to 10 words you enter. Add their traits, favourite TV characters or sports teams. This 20 x 20am framed print makes an ideal gift. Great for any boy's birthday or other occasion.